As Valentine's day red roses are so expensive, Kerry recommends a gorgeous selection of pinks, reds and whites seasonal flowers including lilies, roses and greenery all bound in an organza wrap. This will really 'wow' your loved one. And if you have your own ideas of what you would like, perhaps something to remind her (or him!) of where you met, please give me, Kerry, a call on 09 529 2677. For orders received by Friday 10th please select the discounted price. For the love of your life? 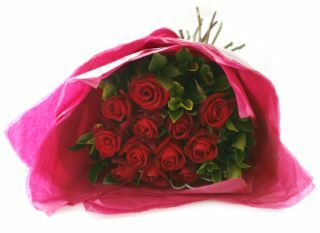 A dozen premium deep red roses with extra long stems. Please note that this price is applicable for deliveries up to Wednesday 9th. 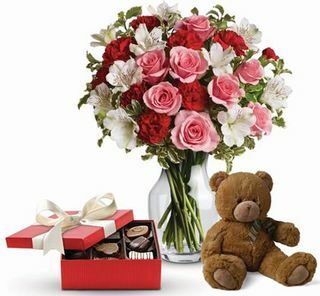 For deliveries up to the 13th, the price is $130 and for Valentines Day itself, the price is $150. Please note that this price is applicable for deliveries on Thursday 10th through to Sunday 13th on orders placed by Friday 11th. 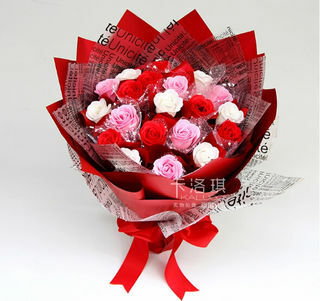 For Valentines Day, click on Valentines Day roses. 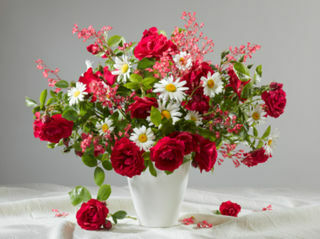 Six premium deep red roses with extra long stems. 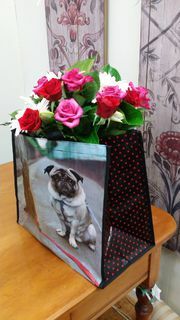 Pretty in reds and whites, bouquet in water filled box, filled with the essence of Valentines day - fun and romantic. Price is for orders received by Friday 11th for delivery up to Sunday 13th. 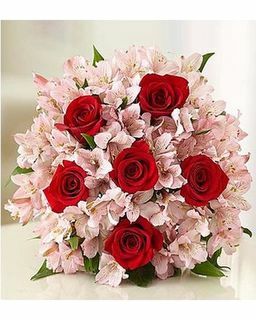 For collection or delivery on Valentines Day. 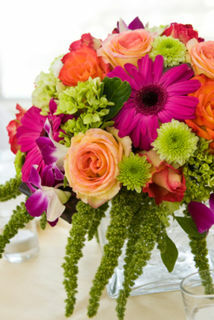 A bouquet of roses, gerberas and lilies - bright, full and lush.